Performing a manual means lifting the front wheel to clear an obstacle. 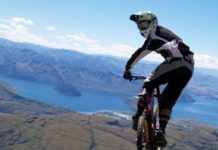 It is a key mountain bike skill to learn and requires good technique rather than strength. 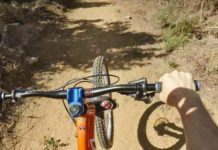 Many mountain bike riders confuse the manual with riding a wheelie, a dark art performed by MTB experts and BMX enthusiasts. Unlike a wheelie, no pedaling is involved which is why the manual is sometimes referred to as a coasting wheelie. As to where the word comes from, a manual is the simple act of raising the front wheel manually off the ground to overcome an obstacle like a tree root or small rock in the track. Speed is controlled and the back wheel stays in contact with the ground. Once the front wheel is over, the rear wheel just follows with momentum and the rider does not need to slow down or ride round the obstacle. Key mountain biking skills like these do not require brute strength or the ability to perform circus tricks like riding a unicycle, simply the ability to learn a technique, practice it, then apply it when riding on the trail. Preparation. Find a flat smooth surface with plenty of space to practice. Start pedaling whilst remaining balanced and composed. Get into position. Once in motion, get into position by relaxing arms and knees, looking ahead and keeping the pedals level for balance. Fingers should be resting gently on the brakes. Shift weight forwards. Gently rock forwards whilst pressing down slightly. Do not push down hard on the front forks in an attempt to get more lift; the key here is shifting body weight to create forward momentum. Rock weight backwards. Without pausing, extend the arms and rock straight backwards, pulling back from the hips rather than pulling on the handlebars. Keep the arms extended until they lock out. Lift front wheel. With the arms parallel and hips back, drop the heels and extend the legs until the front wheel lifts off the ground. Stay low rather than trying to stand up straight. Lower front wheel. Touch the rear brake to bring the front wheel back down whilst bending the arms and pushing the body weight forwards. Dab the rear brake if feeling unbalanced at any time to bring the front wheel back down. Make sure that the brake levers can be reached comfortably with arms outstretched. Lower the saddle when learning so that both feet touch the ground. Learning to manual on a slight gradient can help shift body weight backwards naturally. Try not to pull up on the handlebars as this will make the movement unbalanced; if it feels forced, the movement is incorrect. Use flat pedals when learning as wearing clipless pedals encourages bunny hopping rather than controlled lifting of the front wheel! 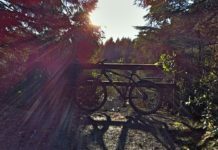 It is easier to learn on a hard tail mountain bike with 100 mm of travel or less on the front forks. If a full suspension is all that is available, lock out the rear suspension. If struggling, practice off the bike first by grabbing the handlebars, pushing the hips backwards, crouching low and extending the arms. Getting the feel for how the body should be positioned often helps. Once the manual is mastered, get out onto the trail to practice. 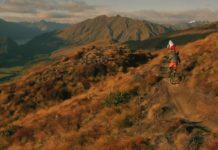 It is the perfect mountain bike technique to use on flat and downhill terrain. Start with a small obstacle; lift the front wheel to clear it and the back wheel will simply follow. 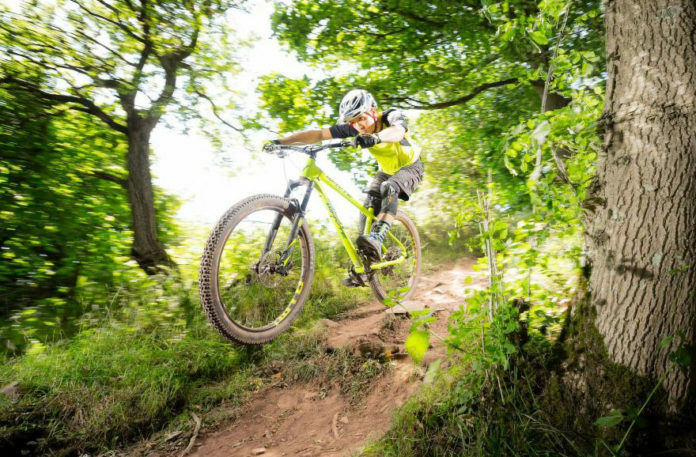 Try to stay relaxed and if feeling unbalanced or tense when approaching the obstacle, ride round rather than fall off. Learning to manual is a matter of technique not brute force and ignorance. 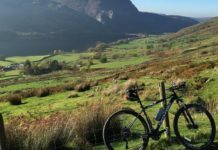 The balance and composure that is attained once mastered can be used to progress to more challenging mountain bike skills or simply use this one essential MTB technique to more fully enjoy trail riding, whatever the terrain.